How and when did you start collecting? I started collecting comics books seriously about 7 years ago, after I returned from an overseas duty station and had access to local comic shops. I was a fan at young ages but due to cost and access I was never able to purchase comics books on a regular basis. Once I had the opportunity I started with my favorite characters, Batman and The Punisher. What do you collect? 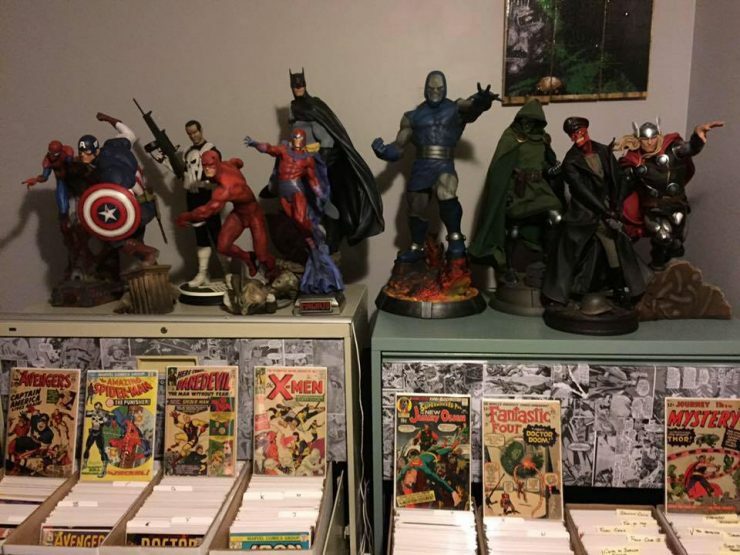 Does your collection have a theme, such as Star Wars Collectibles, Batman, etc.? 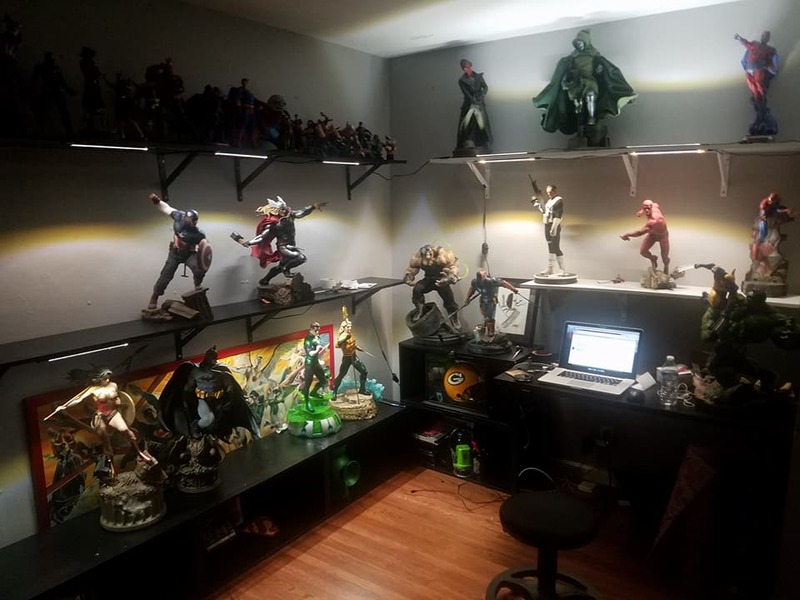 Primarily comic books and now 1/4 scale statues. 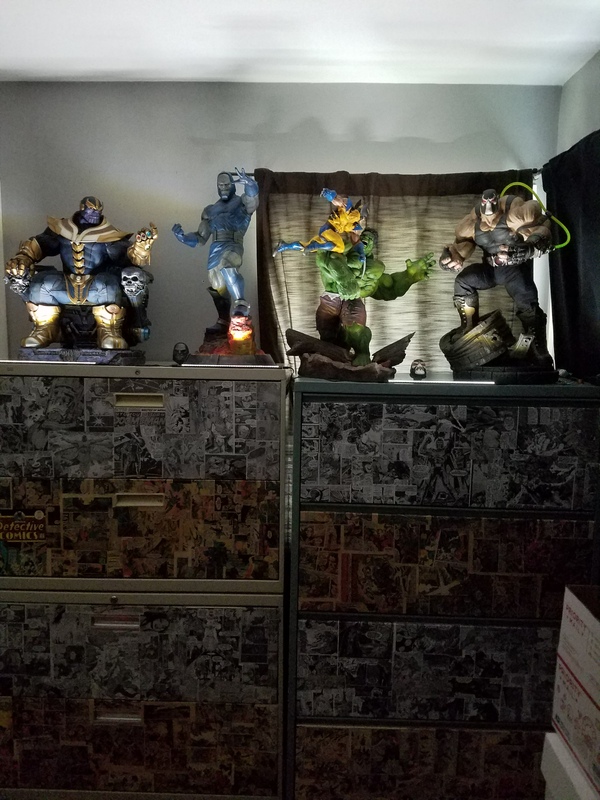 Originally I had started with bust to display with comics books but paranoia of displaying the books lead me to collect 1/6 scale Bowen or Kotobukiya statues. I loved them and still do but then I found the world of Sideshow and since then my statue collection has ballooned. I only collect Marvel and DC and certain things related to the Zelda video game line. What makes your collection unique? 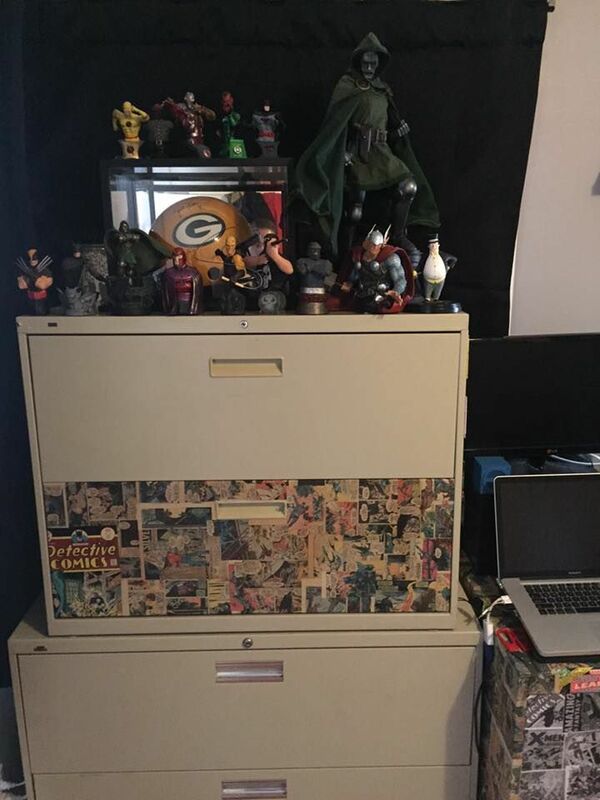 One thing that stands out is I can display many first appearance comic books along with the statues. Many of these are higher value books, many of which costing many times the amount of the statue. What are your favorite or the most prized pieces in your collection? The Hulk v Wolverine Maquette is beautifully done. I think its an amazing piece along with Thanos on Throne, but my most favorited items would be my golden age Batman/ Detective Comics comic books. What items are on your wish-list? Currently have four items on pre-order through Sideshow, hoping they will do another full X-Men line. I missed the first line and many of those pieces are too expensive to commit to. 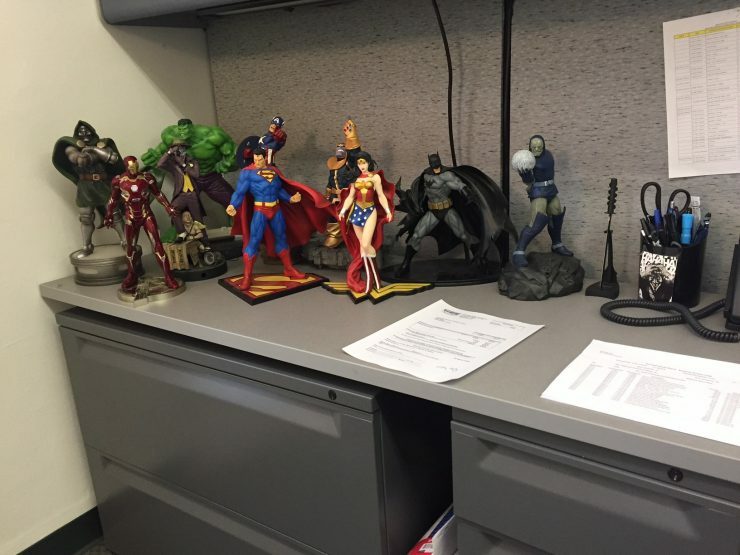 Want to be the next Featured Collector at Sideshow? Send us photos of your display, fill out your profile, and show the world what you’ve got! Marvel Reveals Black Panther Oscars Campaign, BBC Renews His Dark Materials for Second Season, and More!